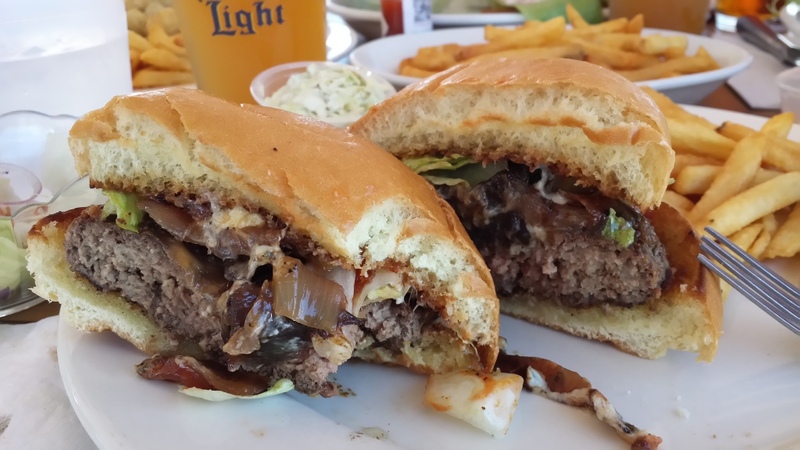 Nicky’s is a great spot for summertime food on Long Island. They do a good job with seafood, but I just had to try the burger here at long last. 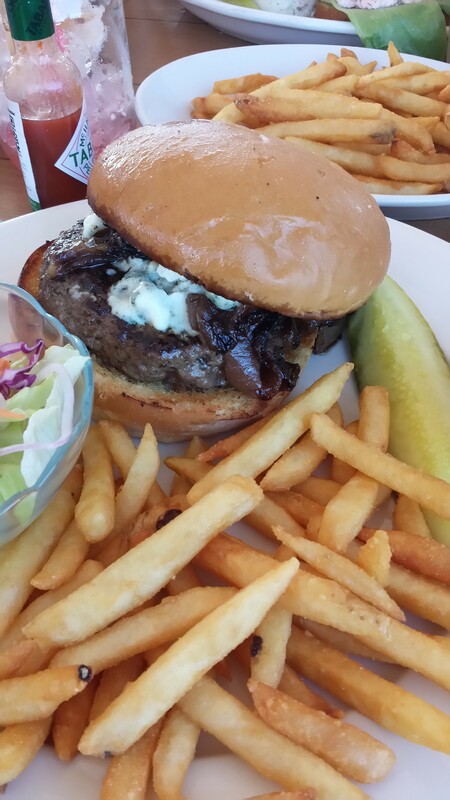 Blue cheese and sautéed onions. OH YEAH! 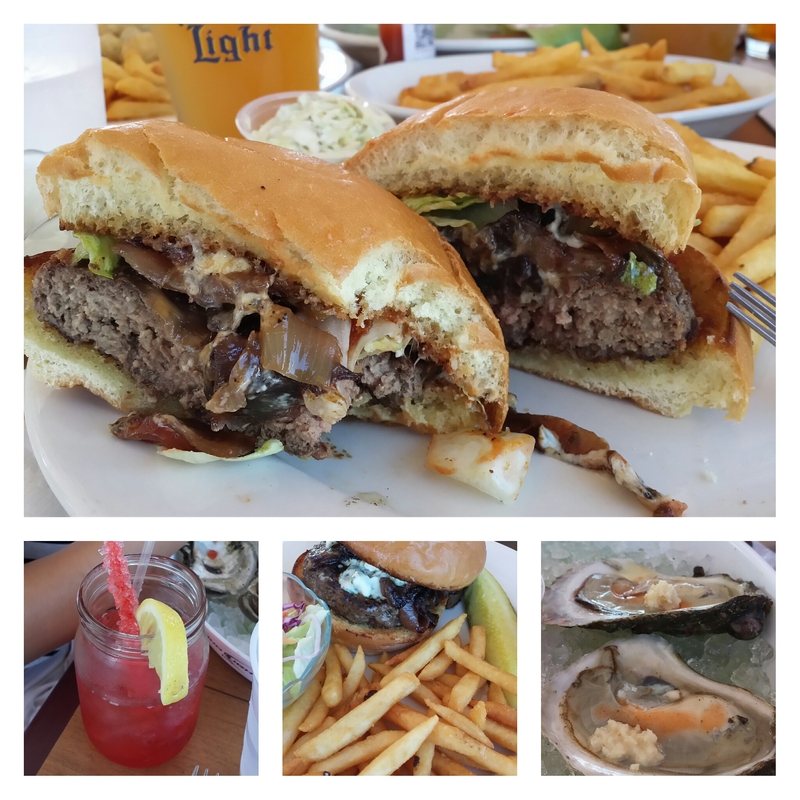 Throw in some oysters and tropical drinks for good measure and you’re all set.